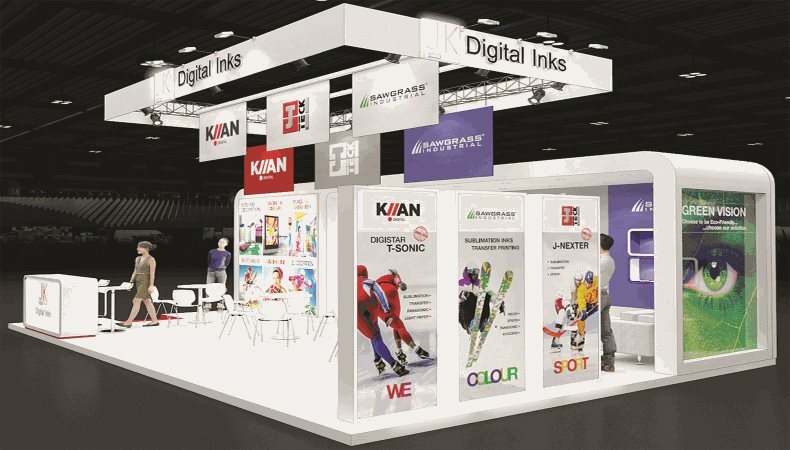 Digital textile print specialist JK Group has revealed plans to showcase new inks from both its Kiian Digital and J-Teck brands at FESPA Asia this year, as it seeks to expand its presence in the wider Asia region. JK Group will be present on Stand C30 at the show, which takes place in Bangkok, Thailand, from February 22-24. The highlights on the company’s stands will be new dye-sublimation inks in the form of Digistar T-Sonic and J-Nexter. New from Kiian Digital, Digistar T-Sonic id a sublimation ink for transfer printing that has been designed for Panasonic printheads. The ink has been formulated with the new generation of industrial dye-sublimation textile printers, with the manufacturer saying that it offers “excellent reliability and drying quickness” on paper, in addition to a “superior” colour gamut. Visitors to FESPA Asia will also be able to learn more about J-Nexter, a new ink from the J-Teck brand that JK Group said has been designed to allow customers to achieve “exceptional” performances with latest-generation Epson printheads for specific dye-sublimation inkjet printers. In addition to Digistar T-Sonic and J-Teck inks, FESPA Asia visitors will be able to see the Sawgrass Industrial water-based portfolio, as well as talk with JK Group about its Textile Standard Program. Digital textile printing has proved to be one of the key growth markets in recent years, and looks set to be a key talking point once again at FESPA Asia 2018. The event, which expects to attract thousands of visitors from across Asia, will play host to a number of key players in the market, allowing attendees to gain an insight into what might be in store for digital textile print in the next year and beyond.